Cheets' Tweaks: FoC you too! The simpler construction of the figures (as in very few metal pins, lots of snap together plastic bits) makes them VERY easy to paint!!! Man that Jazz is sharp! 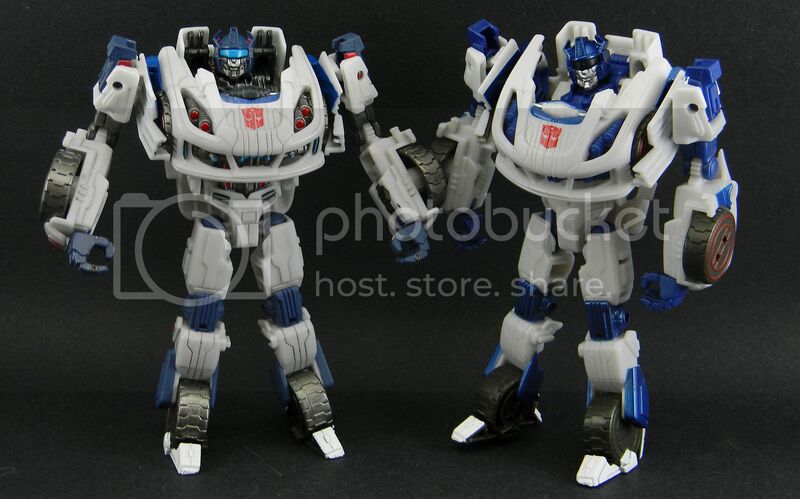 However, seeing the new FoC Prime standing next to WfC Prime, it makes me not want that fixture. My WfC Prime will do me just fine. Nice detail work on Jazz's face Cheets. 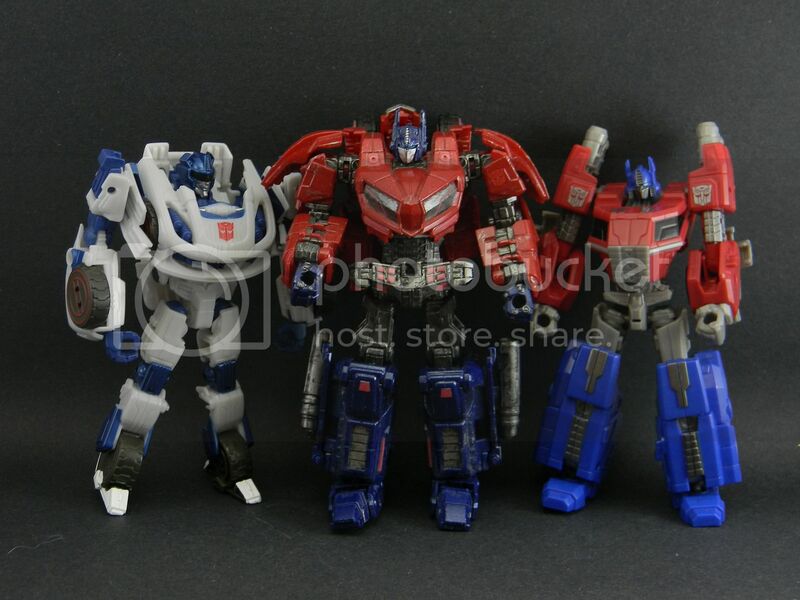 Yeah, I'm gonna repaint Prime into someone else because he's just a disappointment.